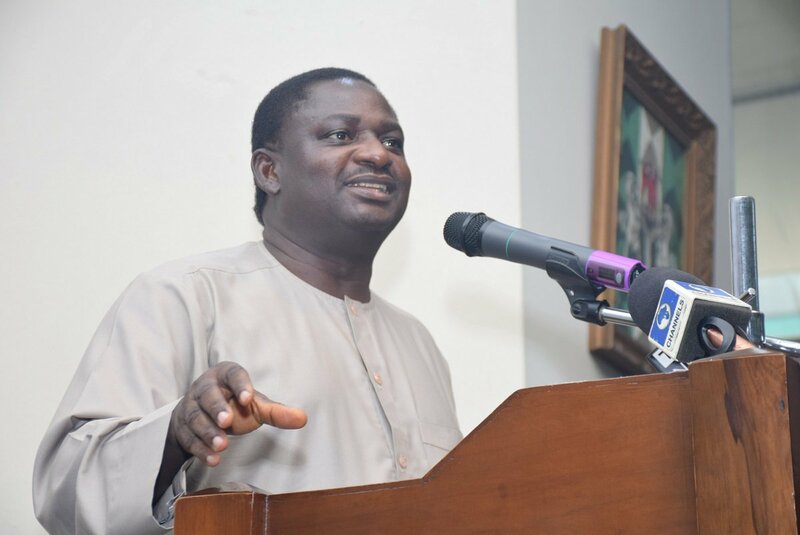 Femi Adesina, presidential spokesman, says Nigeria’s exit from recession is a testimony that President Muhammadu Buhari’s administration is working for the progress and prosperity of citizens. On Tuesday, the National Bureau of Statistics (NBS) announced that the country had come out of recession – the worst in 29 years. According to a statement issued by Abiodun Oladunjoye, state house deputy director of information, Adesina said this when he addressed a solidarity rally for the federal government organised by the Centre for Civil Society and Justice in Abuja on Tuesday. “You have chosen a very auspicious day for this solidarity rally. Earlier, today, we were told that Nigeria had officially exited recession,” he told the group. “That shows that we have a government that is working for us. We have a government that is interested in our welfare. We have a government that is interested in our well-being. Adesina also assured the group that he would relay their message of support and solidarity on the unity of Nigeria to the president. “You know the president swore to uphold the constitution and the constitution recognises Nigeria as one indissoluble entity,” he said. He advised those “beating the drums of separation” to keep their peace, adding that the present government was resolute to preserve the unity, cohesion and togetherness of Nigeria. Earlier in his remarks, Goodluck Obi, convener of the rally, said the group supports the president’s uncommon resolve to fix a nation “plundered and pillaged by irresponsible leadership in the past at various levels of government”. Obi called on the national assembly and the judiciary to support the executive arm of government in the war against corruption, insurgency and economy recovery programmes. “We want to sound a note of warning to both organs of government, that we the Nigerian people would no longer allow our collective destiny to be toyed with like a game,” he said.